For 150 years, PPA has worked hard to build a dependable and powerful community for professional photographers in the U.S., so much so that PPA is now used as a reference all over the world. 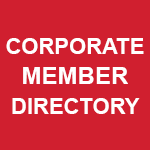 Becoming a PPA Corporate Member will allow your company to be top-of-mind among our members as a valued partner. Additionally, when you become a Corporate Member, your organization earns the ability to take advantage of a wide variety of marketing opportunities and touch-points with thousands of potential customers: PPA's 30,000+ members! Enrolling as a PPA Corporate Member means joining an impressive list of other businesses that have already chosen to partner with PPA to make our industry a better, more productive one. And joining is easy! With three different corporate-membership tiers, you can choose an option that's right for you and your business. 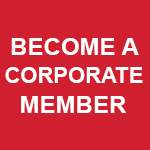 Get started on becoming a PPA Corporate Member by downloading the membership application! Got questions about the new Master of Wedding Photography degree? Tune in to the FREE webinar! Join PPA to review the new rules for IPC and see how you can begin your journey in earning this new photography degree on Wednesday, March 6, 2019 at 2:00 pm est. What’s Next for H.R. 1695?